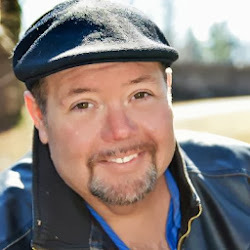 A weight loss inspiration blog by Dan Hawthorne. Learn to love yourself more and weigh less. Who say's you can't go home? We've all heard the expression: "You can't go home." Well, I disagree. I was lucky enough to call two cities in Maryland home. I was born and raised in good old Western Maryland (Hagerstown USA). I love this little-big town with all my heart. No matter where life takes me, Hagerstown will always be my hometown. 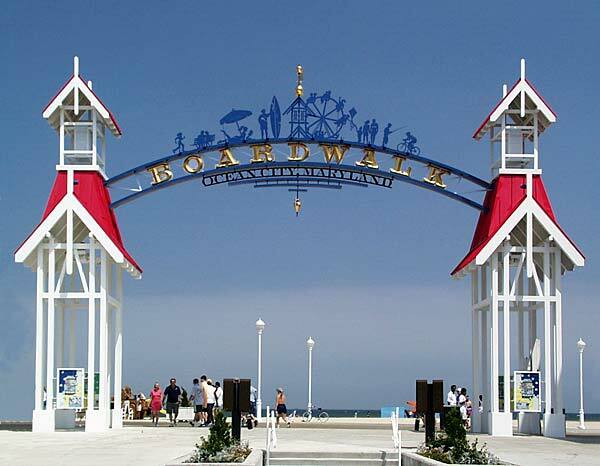 While growing up, there was one other Maryland landmark that was special to me and that was Ocean City. Every summer, my Dad would load up our old blue Ford and we'd take that long drive (long for a kid, anyway) to the eastern shore. Truth be told, we went there more than once in a year, and I can still remember Dad stuffing that luggage so full, I'd spend the whole drive checking to see if it was still in place. I'd lean out the window, only to hear my mom's concerned voice, demanding I get my head back in the car. "Did I want my neck to be broken by a passing car?" Well, no, as a matter of fact! And I'll never forget that kid-like excitement that would fill my belly the night before. Sleeping was not an option. And, in fact, because my bedroom overlooked the driveway, I'd wake up off and on all night and look out at the car with growing anticipation. Two more hours and we'll be gone, I'd think, unable to control the fluttering of butterflies inside my stomach. So many great memories were created in Ocean City. I spent the weekend of my high school graduation there, celebrating with many other young men and women of Maryland. Like everyone else, I partied the night away and rang in the morning with an Egg-Mcmuffins, a cold brew on the beach, and an undeniable hangover. I still don't quiet remember the night before (Hey, I was eighteen). OC is also where I discovered the best milk shakes in the world (Dumser's), the tastiest caramel popcorn (Fisher's), the most fabulous Pizza (Tony's), and the--OK, I think you get the point! As I said, I have always considered Ocean City to be my second home, so it was no big surprised when I decided to move to there about eighteen years ago. I was going to pursue my dreams in radio and take over the air waves of the DELMARVA area! And those first few years in OC where truly some of my best. I lived a short walk from the beach. I had a late night radio gig on the weekends and a decent paying job through the week. Life was good. Then life began to change and one bad event after another also changed me. Soon, I'd lost sight of my dreams. And eventually, I lost Dan. The home I once loved became a place of doubt and regret. I began to view shore-life differently. I no longer saw happy families and loving couples walking on the beach, enjoying each other. Instead, I saw tourists crowding "our" beaches and college kids drinking excessively, making "my" streets unsafe and congested. Ocean City was no longer a peaceful place for me. It was about this time that my depression deepened and my weight escalated. Now, in my mind, I was not only living in tourist-hell, but I was trapped in my own self made prison as well. Basically, my life was falling apart, and as most of you know, I quickly began to gain weight, eventually becoming that giant I often talk about. So what's your point Dan? I can hear you asking. We've heard all this before. Well, I went back to Ocean City this past week and I went back with a new attitude, a new way of seeing life, and most importantly, a new me. I took my partner in crime, Patricia Garber (Author), with me and for the sake of the book, showed her where my decline began. I wanted her to taste, smell, and feel all of the food and places that I had spent so much time enjoying and then despising. When we first arrived, I wasn't sure how it would feel to be "home". Admittedly, I was nervous. I wanted to rediscover my happy place again, and the Ocean City that had once held my heart did call to me, but I was petrified I'd arrive and find only sadness and despair. I wasn't sure I was ready for the disappointment, should it not work out as I'd dreamed. When I'd left OC, some three or four years prior, I was a six hundred pound scared and sad man. Now I was returning as a healthy, excited, and passionate man. But would I be able to overlook what had happened to me there and rekindle my love of the city? Would my demons be too strong? Could I find those good feelings I'd once had as a child and somehow mesh them with this new man? I feared the unknown. 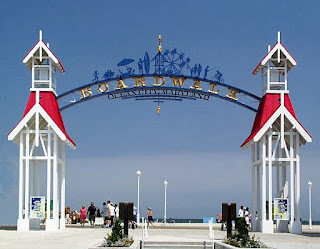 That first night in OC, I showed Trish (Short for Patricia) the boardwalk and could feel the excitement; the sights and sounds of the boardwalk, like the rushing of the ocean waves to shore or the chimes of the arcade games. First-things-first, we had a Dumser's shake. Then later we sampled some of that awesome Fisher's Popcorn. And I'm happy to say that I did it right this time, as we split every treat. Sure, I could have--and the old me would have--consumed a whole box of caramel corn all by myself but I resisted. This time, I was in control. 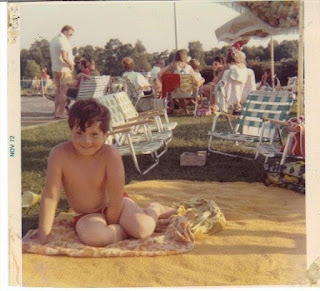 Food did not control me--one positive sign that things weren't quite the same for me and Ocean City. More relaxed than ever before, I looked out over the ocean and actually admired how the water melted into the horizon. The beauty I remembered was evident in the contrast of the white capped waters, blending with an orange and yellow sky. That familiar excitement returned as I absorbed the sights, the smells, and the sounds of shore-life. The love I'd felt for Ocean City as a child was very much intact. During my visit, I shared many memories with Trish--the good as well as the bad. And as we sat where the once sad and depressed Dan sat, I explained how I'd watch happy people walking by, laughing and enjoying life. How the old bitter and angry me would grumble and growl at their obvious bliss, jealous to my core. And as I was telling her the stories, it dawned on me that I'm now one of those happy people! I enjoy the sights of the boardwalk and the smell of the salty sea air! I even looked around to see if anyone was watching me with those same hurt filled eyes I remember so well? The irony of it all made me chuckle but mostly I wanted to scream at the top of my lungs: I love Ocean City and I love life! While there, we managed to fit in some media events, helping to promote the journey and the book. It started off with a great interview on Delmarva TV 47, where I got to talk about the moment I decided to take back my life. It was a great lights-camera-action moment!!!! 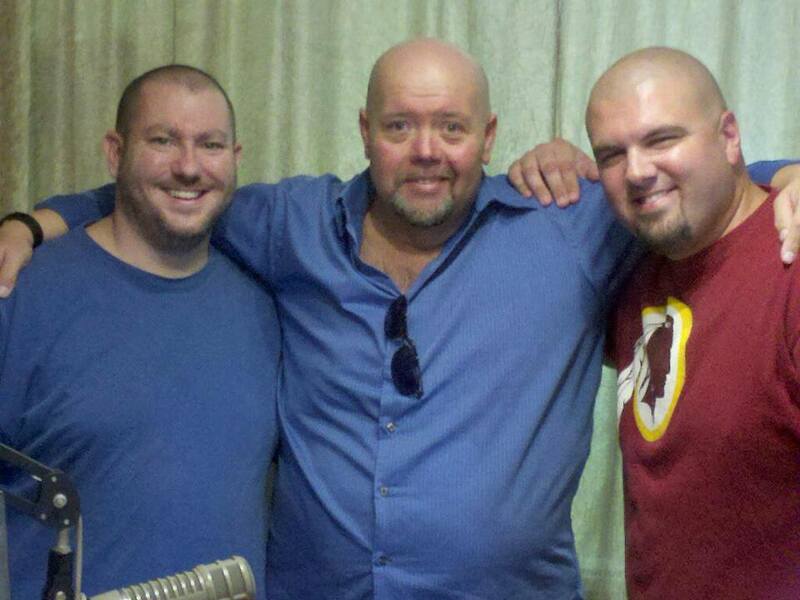 We also hung out with my old radio buddies, the crew at OC 104. 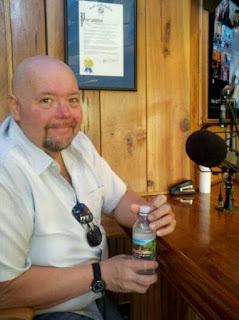 My main man Bill Baker, The Rumshaker, had me on his morning show and we talked about the story as well as faith, God, and how to regain your life. I took some great calls--if you called in, thank you so much--and I got a good chuckle over watching my partner in crime get her feet wet with her first official radio spot. Way-to-go Trish!! We had a great time at OC 104 and it was so good to see my buddies happy and doing well. I found I'd missed radio and I especially missed connecting with people. Our next stop on the media train was Ocean 98 and The Bulldog morning show. What a cool set up--a studio high above the bay at Secrets, a.k.a Jamaica USA. Again, I shared the story and man was I loving it. I wasn't just home but I was home making some noise! I was proud to be back and happy to see old friends--some of whom didn't recognize me at first. Remember I'm now three hundred and thirty five pounds lighter (Wink). With the media part of the trip completed, it was time to help others. And I was so honored when a few TOPS (Taking off pounds sensibly) weight loss groups in the area asked if I'd speak to them. I did my best to inspire all who attended, chatting about my addictions to food and how those bad habits helped to create a six hundred and twenty five pound mass named Dan Hawthorne. I shared with them the moment in my life when I thought I was going to be visited by The Grim Reaper, encouraging them that they too can regain their lives! I don't regret one dark moment in my life. In fact, I thank God everyday for allowing me to experience the struggle. It's because of those bad times that I can now coach and help others. It's because of those sad and lonely events in my life that so many can relate to me and my story. My pain is what allows me to connect, and I just want to thank all of you at TOPS Berlin/Ocean City for inviting me and making me a part of your journey. You too can go home. If you so choose, you can have a do-over in your life. Maybe it's an old friend, one whom had tried to reach out to you at your lowest moment and you pushed them away. Maybe you avoided family reunions or other events because you were ashamed. Maybe you have never walked on a beach before because you physically aren't able--I couldn't, as I was too large and my step was too unstable on sand. I lived in OC for almost 14 years and never walked on the beach. Whatever it is that you've missed out on, you can have a do-over. When you're ready, when you're in a healthier place, you can go back. You just have to want it, believe you're worth it, and most importantly--START NOW! I had the sand between my toes, the ice cold ocean at my feet, and it felt wonderful! Every day I rediscovered a tiny detail of shore-life that I had missed the first time around. I used to walk through the day numb, seeing life in black and white. But friends, God gave us eyes to see the beauty around us and he intended for us to see it in full living color! Put down the food. Get up. Get moving. Your new life is waiting for you! In past blogs, I've talked about what inspires me--movies, music, people etc. I do my best to touch and inspire at least one person every day. I know how much a you-got-this can help. I understand how many are hurting and feel defeated, like they just can't find what it is they need to keep moving forward. I, like most of you, spend more than an average amount of time on Facebook. I share my life with the world with the hope that my past struggles may help another to start a life changing journey, and though I try to stay positive and inspirational, I too have my down-days. Those days when you're wondering, what's it all about, why is life so difficult? Recently, I had just such a day. I was down, questioning God, though I should know better by now. I just wasn't feeling like that positive guy most know me to be. But because I take what I do, which is to inspire others, seriously, I signed on to Facebook and tried to post a positive message for the day. Gloomy persona and all, I just wasn't feeling it. However, I refuse to take part in what I like to call Facebook Reality TV, so, there I sat. I had nothing to say. ME! The one who could talk to a stranger about chocolate milk for two hours had NOTHING to say. Clearly, it was I who needed a little love and a little positive something thrown at me that day. And as I was sitting there, two seconds away from writing "Yeah, I've got nothing, have a great day," something special did happen. A little red number "1" lit up my Facebook message box. When I needed it most--isn't God's cool that way?--I got a message from a wonderful young lady named Michelle, who shared some very nice words with me. She touched me, made me feel good. Thank you Michelle, I needed that! And though this might seem like a strange place to post my thank-yous, THANK YOU. To all of you who send me such kind messages, I want you to know that they do inspire me and keep me focused. From time to time, we all need to be uplifted. We all need to feel that human bond that comes by helping one another. By caring and seeing, as I often post, the beauty all around us. We will have those days when we have to choose to see it, as it may not come naturally. We're human. IT HAPPENS. Save $3.00 on select products from LUNA with promo code 3LUNAFFF, through 12/17 while supplies last. Simplicity: The Key to Consistency. LUNA Coupon Available to GMLB! Live To Laugh--Laugh To Live.